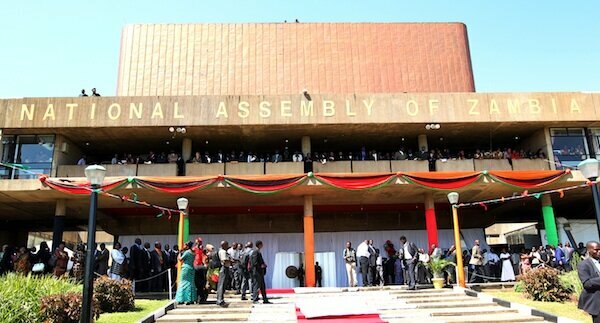 TIME has really flown for the Members of Parliament who formed the 11th National Assembly of Zambia which stands dissolved this week ahead of the August 11 general elections. What probably started as a fairytale five years ago for the Patriotic Front after they defeated the MMD administration, has come to a reality that their stay in Government cannot be perpetual without a renewed mandate. On August 11, Zambians go back to the polls to elect their councilors, mayors, Members of Parliament and a head of State. We applaud the members of the 11th session of the National Assembly for their tremendous contribution to the future governance of Zambia, despite challenges encountered here and there. 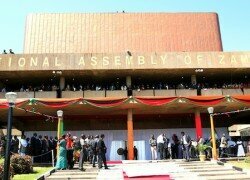 This is the session where Zambians lost another head of State, Michael Chilufya Sata, the fifth President of Zambia. It is also in this same session that Members of Parliament rose to debate in their own way the proposed Constitution of Zambia. There is no country which comprise citizens who are agreed on everything but the Members of Parliament still came up with commands of State. The Patriotic Front Members of Parliament, UPND, MMD, FDD, ADD and independents deserve special mention for the amended national laws which have been elusive over the years. Passive followers of the constitution-making process might be skeptical about this assertion, but a critical analysis of the passing and assenting to of the amended Constitution gives an insight into a brighter future, for the new government which will possess the political will to refine the laws further after the August 11 elections. There is no doubt that the amended Constitution has provided a foundation upon which future governments will use to promote the development of Zambia. The new amended Constitution has created governance structures which if followed through and implemented by the new government after the general elections of August 11, will position Zambia on a path of prosperity. This, however, cannot be attributed only to the members of the 11th National Assembly of Zambia. Constitutional development is a process and in Zambia’s case, this started at Independence in 1964. There could have been challenges along the way, but the persistence to work on the Constitution had paid off in an effort to come up with a relatively good document which would stand the test of time. As the legislators leave the House, some for a short time and may return after the August 11 general elections, while others it will be for good, it is important that they are applauded for a job well done. They should also be bearers of peace messages in the August 11 general election campaigns which are anticipated to be tough for competing political parties.